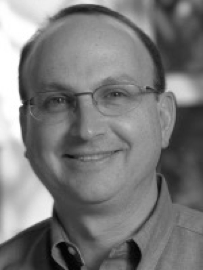 Dr. Rosenblum is Professor of Pediatrics, Physiology, and Laboratory Medicine and Pathobiology. Dr. Rosenblum is a Pediatric Nephrologist and Senior Scientist in Developmental and Stem Cell Biology at The Hospital for Sick Children. He holds the Canada Research Chair in Developmental Nephrology (2005-2019). The focus of Dr. Rosenblum’s research is molecular mechanisms that control formation of the normal and malformed mammalian kidney. He is the author of over 100 peer-reviewed papers and chapters on this subject. Dr. Rosenblum is also Associate Dean, Physician Scientist Training, at the University of Toronto. As Associate Dean, he is Director of the Undergraduate MD/PhD Program and the Postgraduate Clinician Investigator Program, which together consist of over 150 physician scientist trainees.